"It's all about the blue highlight. The paper roadmaps earlier generations used to fold, crease, scribble on, repair with Scotch tape, and spread out on kitchen tables, shady picnic benches, and the front seats of station wagons and minivans have mostly faded from view. The new maps are bright, intuitive, up-to-date, high-definition depictions glowing on the screens of smart phones, tablets, laptops, and sleek GPS units. These are maps that don't tear along the folds, wedge themselves between car seats, or soak up spilled coffee. You don't have to turn the glove compartment inside out to find them, and it doesn't take an engineering degree to refold them. You simply type in where you are, where you want to go and . . . voilà. There it is. The sweet certainty of what you wanted to know. That calming, comforting, unmistakable sapphire line overlaying your course, illuminating your way, boldly directing you from Point A to Point B by the most efficient route. Now . . . if only we had a blue highlight in life. Wouldn't that be something? Key in where you are right now, enter "Heaven" as your final destination, and push the button. And there before your appreciative eyes is the course for the rest of your life-from now until you step across the threshold of glory. But it doesn't work that way, does it? It's good and it's comforting to have a Point A and a Point B in our lives, but where is the line marking our route? What's around the bend? Where are the intersections? What's the mileage? Will it be an eight-lane freeway or a winding, backcountry road with a few bridges washed out along the way? How long will it take? Where are the exits, vistas, scenic byways, and rest stops? We can ask all the specifics we like, but it really won't help. No one knows the precise route each of us will take to the other side. There may be a clear destination-and thank God for that-but there is no blue highlight marking the course from here to there. Jesus, of course, told his anxious friend, "I am the way." And he is! But he doesn't show any of us a highlighted route. That remains a day by day, hour by hour, moment by moment proposition. We can, however, do this much: We can make sure we are prepared for the journey, no matter what the route might be. This book is all about that. It's not a road atlas, it's more like a travelogue, with strong ideas and helps for navigating life. 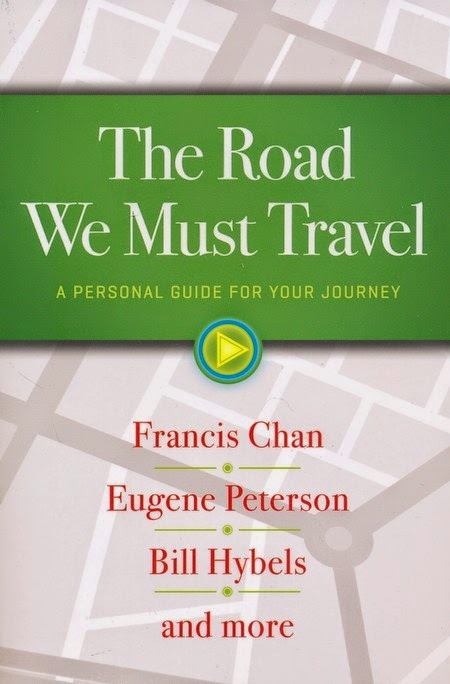 No, it's not exactly like Rick Steves Does Europe, but here are twelve wise, seasoned, and companionable travelers who offer thoughtful, biblical counsel for our problems, solutions to common roadblocks, and welcome encouragement for the highway that lies ahead. Yes, like it or not, we're all on the same road trip. But not all of us travel with peace and perspective. With a little help from these friends, maybe we can." I think my favourite chapters was Mark Buchanan's - Avoid Cultural Contamination. This was an awesome read and I highly recommend it! I really believe that all Christian's so be fasting as part of their spiritual development and practice of spiritual disciplines. So many people I know have tough life circumstances, finances, marriages, work the list of things that can go wrong in life is almost endless. I do not believe fasting will always get you what you want. But I do believe that fasting with a purpose and intent changes you and how you respond to situations, and how you see God working in them. 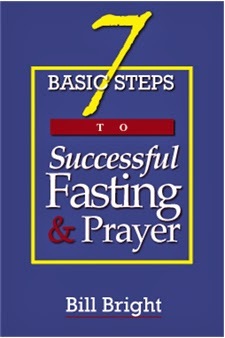 In the gospel of Mark 9:29 Jesus states, "This kind can come out by nothing but prayer and fasting." Bill bright in this book give simple clear instructions on why too fast and also how to fast. He guides you through successful fasts, from 1 mean to 40 days. Fasting is like any other muscle or exercise it takes work, but this book is a great starting point for the beginner or someone getting back at it. No matter where you are in your spiritual journey this book can be for you and your growth! We are almost half way through Lent and this year has been different for me than many before. 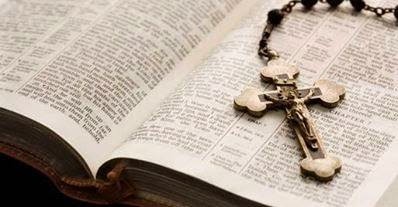 Lent is usually a time of intense reading, or to be specific intense spiritual reading for me. This year I did not build a list of books I wanted to read or reread. Instead I found myself struggling prior to Lent even with what to give up this year. In the past I have given up coffee, ice cream, meat and many other things over the years. I was at a loss for what to do. Then a few days before Lent began Kevin Lowry posted a great article from Our Sunday Visitor called the 1-1-1 Plan by Greg Erlandson - basically 1 sin to work on, add one thing to your routine and give up one thing. 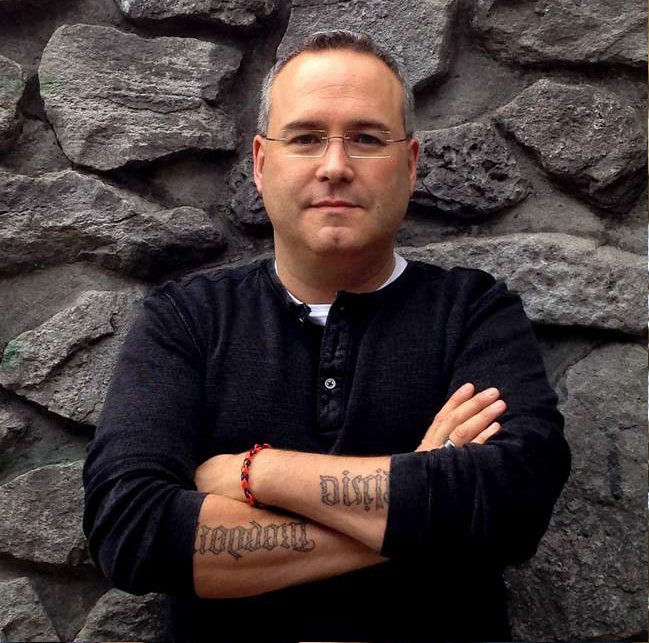 The concept of this from Father James Shafer really caught with me. It has been an interesting walk during these first 20 days. The second thing that has been very powerful for me this Lent is Father Robert Barron's daily reflections from Word on Fire. But to be honest the one that has stuck with me the most was Lent Day 7 - How to Make Room for Life's Biggest Questions in it Fr. Barron States: "The 17th-century French philosopher Blaise Pascal said that most of us spend our lives seeking diversions in a desperate attempt to avoid the hard and simple questions: Who am I? What is the purpose of my life? What does God want of me? We eat and drink, gamble and gossip, seek out the most banal entertainments, surrender to television and social media, attend party after party-all in order to avoid those questions. Right now, identify the diversion that most distracts you from these questions. Then take some practical steps to rid yourself of it, or at least reduce it. Are you preoccupied with eating and drinking? Then fast regularly. Do you watch too much television or spend too much time on Facebook? Then give yourself a specific limit. Do you indulge in idle chatter? Then resolve not to say anything mean about anybody (you'll find that your conversations are a lot shorter!) Do you socialize too much? Then refrain from non-essential parties for the rest of Lent. Clear the ground. Clean out the system. Make room for yourself to ask and reflect on life's most important questions. To follow Jesus into the desert is to divest yourself of diversions. It is to sacrifice the superficial so that the depth may rise. It is to still the chatter so that God's voice might be heard." I have left it in my inbox. Gone back an read it every day. I have shared it with Catholic and Protestant friends. It is an amazing piece. Another great resource that really has me thinking and implementing it a website called What To Give Up For Lent. Basically each day you get an email or a tweet with something to do or not do for that next day. Some of them are really challenging, and some of them you will carry with you for days. The next thing was a book I read this weekend. It also happen's to be free currently in eBook format from a number of sites. The book is Pope John XXIII the Good Pope by Wyatt North. It was a great little read and has inspired me to dig deeper in to John XXIII's life before his canonization later this spring. You can get the Wyatt North ebooks from amazon.com, amazon.ca, amazon.co.uk, iBooks, Kobo, Google Play, and Barnes & Nobel. The last thing that really impacted me this weekend was the song and video Lord, I Need You by Matt Maher. This song completely blew me away. About my 5th time listening through it I started to cry. There is also a version of it he did live at World Youth Day 2013 in Rio. The song is incredible and is my prayer for the rest of Lent 2014. Blessings and prayers on you my friends and readers this Lenten season and beyond. Place seeds, hemp hearts with enough cold water to cover. Add rest of ingredients and cold filtered water to max line then blend until thick and frothy. Makes 2 - 8.25 ounce servings. I put the chia seeds, flax seeds and hemp hearts in the blender with a touch of water and let them soak while prepping the rest.